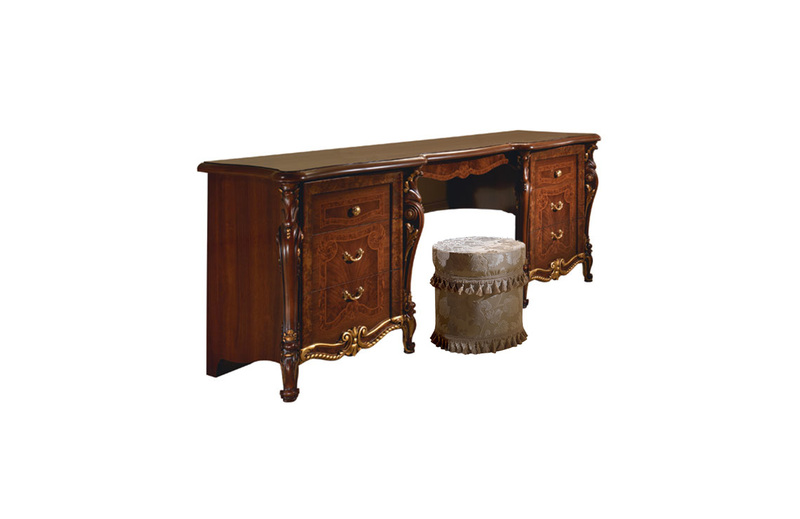 This dressing table, extremely elegant with its compact and streamlined layout, invokes the charm of times gone by. The clean and concise design together with the sober nature of the colour combinations and refinement of the hand carved ornamental columns in solid wood, endow it with a mysterious air: the perfect place to store away your ancient secrets. The frills of the pouf lighten the noble nature of the furnishing with a touch of charming frivolity.